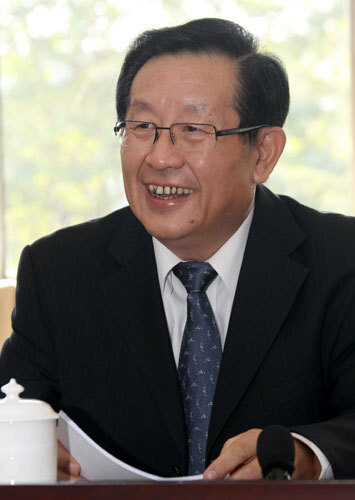 Wan Gang is Minister of Science and Technology. BEIJING - China's top science and technology official has vowed "zero tolerance" toward research frauds and academic plagiarism amid growing criticism over the country's academic integrity. "We will set up a mechanism to facilitate supervision over research programs," Wan Gang, minister of science and technology, told China Daily. The 58-year-old minister, who got his master's and doctorate degrees in mechanical engineering from Technische Universitat Clausthal in Germany between 1985 and 1991, said he cannot tolerate academic frauds. "We will dig up the past of those researchers who fake their works and punish them," he warned. Wan acknowledged that an "abnormal phenomenon" has haunted the science and technology field, such as institutions of higher learning and research centers, which now have more than 2.3 million staff members. However, "it is unfair to say the country's mechanism of science and technology is decaying just because of a few counterfeiting and plagiarism cases", the minister said. In order to promote research integrity, Wan called for an academic environment for "failure tolerance", saying funds should not be directed only at research programs with immediate economic returns. "We have been trying to fund more high-edge and basic research programs despite the high costs and high failure rate," he said. Wan also said China would adopt a more open attitude toward international science and technology cooperation and exchanges in the 12th Five-Year Plan (2011-2015) period. "China used to be a learner, but today it can play the role of an equal partner in many science and technology programs the world over," he said. China has signed 104 science and technology cooperative agreements, including the China-European Union Science and Technology Partnership Agreement, with 97 countries. Climate change, energy and environmental protection are the priorities for cooperation, according to the minister. China and the United States have set up a China-US Clean Energy Research Center. The China-Germany Electric Vehicle Cooperative Project has also been launched. Wan said the Chinese government is working hard to attract overseas talent to return to the country with favorable policies. "I expect to see more overseas students return to China," said Wan, who worked for Audi AG in Germany for 10 years before returning to China in 2001.